Makeup for Acne Prone Skin: An Evil or a Savior? What Makes the Worst Foundation for Acne? What’s Your Favorite Acne Foundation? No matter how severe your acne is, there is one product that can cause it to flare up more than anything else: Your Foundation Makeup. There are many reasons this happens, but most commonly it’s the fact that the majority of foundations will block skin pores. This then can trigger a skin response, and if you suffer with acne, then it’s much likely to happen every time. The technical term used for such products is “comedogenic”. But the good news is that not all foundations will have this effect. There are quite a few very good options out there that have been specifically developed to completely reduce this negative trigger. However, what you don’t want to do is jump into a purchase based solely on the marketing hype that some companies put out there. To help you with finding just the right product for you, we have put together this guide which includes detailed information and a long list of products that have been proven to work wonders. Elf Flawless Acne Fighting Makeup for More Mature Skin, full details below. Each product is listed with pros and cons, as well as active ingredients. If you have some known allergies or acne triggers, then make sure to pay close attention to make sure you make the best possible choice for your skin. Imagine: Just a day before a party or an important gathering, a bunch of pesky pimples break out all over your face. Or worse, you have some stubborn acne scars all over your face that don’t seem to go away. Getting anxious about “what will people say or think about me,” you decide to better stay at home. Now, what’s the best option for you in this situation: Consulting your Derm? 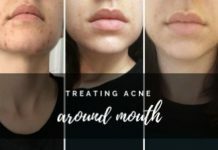 Following a careful anti-acne skin care regimen? Or even, eating a well balanced diet? Undoubtedly, all these options are important. But they’re a long term process. And there’s absolutely no guarantee that following a careful skin care regimen for 24 hours will give you a flawless skin for that party. That is when you turn to specialty makeup, or rather, a non comedogenic foundation to cover up your acne / acne scars. It is quick. And it works. (But only when you do it the right way.) This post will let you know exactly how to go about it. To judge whether you are carrying out your makeup routine the right way, just go through the makeup mistakes listed below. And check if you tend to make these mistakes. Because as a woman with acne, you need to be extra careful. Sleeping in your makeup is one of the worst makeup mistakes. Though it is very common, it is the most significant reason for you flaring up. No matter how difficult it seems to cleanse your face after returning home late, you must wash off all the cosmetics you have had applied to your skin. 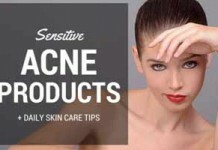 Even non-comedogenic cosmetic products clog your pores. Besides, your skin absorbs all the sweat, dirt and oil accumulated on your skin throughout the day. This results in pimples. Hence, it is necessary to use a gentle cleanser and follow-up with a mild toner. So, all the sleeping beauties out there need to resist all those temptations to jump into their beds after a tiring day. And carry out a proper cleansing routine before going to sleep. It’s essential to check for labels when buying a makeup product. Often so, women just buy foundations without checking out for ingredients. Knowing what you are applying on your skin is important because you never know what ingredient might or might not suit you. Apart from this, opt for products that say “non-comedogenic” as they do no clog your pores and let your skin breathe. In addition to this, buy foundations and creams that are according to your skin type. Almost all the skincare and cosmetic products contain skin-type labels. Although liquid foundations are quite easy to blend and provide the perfect glow, they comprise of ingredients that might be harsh for your skin. Liquid foundations usually contain preservatives, parabens and fragrances that aggravate your acne. Switching to a mineral-based foundation is a great option. They are often free from chemical dyes and ingredients that can cause skin irritation. Furthermore, they provide flawless coverage which is good for concealing your blemishes and skin discoloration. Do you often change your make-up brushes? If not, you must make serious efforts to clean your brushes. The dirtier the brush, the more are the chances of bacteria and oil being smudged on your face. Spare time to wash your makeup brushes once every week. To wash your brush, you need to take warm water in a flask and add quarter size mild shampoo. Just soak your brush till the mixture turns clear and rinse with water. Place them on paper towels and let them dry overnight. We know that being an acne-sufferer, concealer is your go-to make up product. 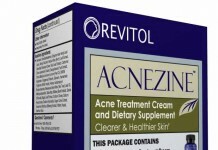 Although, it covers your zits and pimples, relying on it way too much can put you into trouble. Sometimes, the concealer can get cakey and instead of hiding your blemish, it makes it even more prominent. 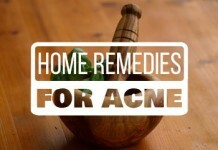 Besides, they also tend to clog your pores and can further worsen your acne. Therefore, you should use a light oil-free concealer so that it doesn’t cake. Keeping your skin loaded with different cosmetic products holds no wisdom. Taking a break from your make-up regimen is truly good for your skin. The more makeup you wear, the more the chances of your pores getting blocked increase. So, try wearing as less makeup as you can. And the best is to take a day or two off from your make-up routines. Being well aware of terms like acne cosmetica, it’s easy to regard makeup for acne prone skin as pure evil. But this is certainly not the case. Not all makeup products are created the same. There are some high quality concealers, primers, and foundations for acne prone skin that aren’t irritating and pore clogging. Joshua Zeichner, M.D, Assistant Professor in the Dermatology Department at Mt Sinai Medical Center in Manhattan, has given the most concise definition for the best foundation for acne prone skin. It’s also good if the foundation has proven acne-preventing ingredients like salicylic acid for boosting its anti-acne properties. So let’s take a look at some ingredients. It’s hard to find a cosmetic these days that doesn’t contain dimethicone. As much as you’ll see experts promoting this ingredient, there’s also a school of thought considering it a nightmare for acne prone skin. The reality is that evidence for both these opinions is inconclusive, and also for the most part, insufficient. 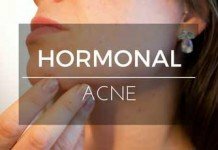 There are a lot of users with acne prone skin having adverse reactions to it. So, unless you’re completely sure of how your skin is going to react, and whether you are prepared for the outcome, I will advise using these products with caution. Lisa on Vogue has done a detailed account on this issue if you’re interested in discover it in-depth. 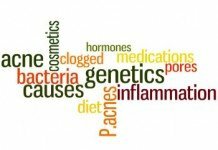 Only relying on the non-comedogenic label on cosmetic products is not enough. You need to turn over the bottle and look for the ingredients. In a 2006 research, Brittany Buhalog, Chief Dermatology Resident at the University of Wisconsin-Madison, noted ingredients in a cosmetic foundation that potentially contributed to acne. These ingredients were, octyl palmitate, lanolin, along with its derivatives, isopropyl myristate and iso propyl isostearate. So, you need to watch out for these elements. Besides, there are other ingredients that can be toxic and have been discussed below. 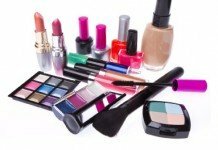 Fragrance loaded or Alcohol Based Makeup Products – These are often labeled as “SD or denatured.” People of all skin types can benefit by avoiding these products. But for those of us with oily acne prone skin, avoiding them is a must. These products can easily trigger allergic reactions and exacerbate your acne in no time. Solid, Thick Makeup – Ones you’ll usually find in the form of stick or compact creamy concealers and foundations. The main culprits are the ingredients that keep these products in solid or semi-solid form. It’s true that stick concealers and solid foundations are the quickest way to cover up your acne scars or red acne marks. 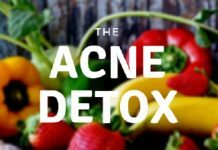 But can you afford this convenience at the cost of getting more acne breakouts? I’m sure not. Fortunately, as this post will reveal, there are PLENTY of alternatives you can choose from that won’t just prevent future acne breakouts, but will also help getting rid of your existing acne.Below is a list of the top 20, handpicked foundations for acne prone skin. But before that, it’s extremely important that you know how to apply foundation on your type of skin. Every kind of skin has its own needs and hence, the right way of application of foundation for each skin type also differs. Below is a concise guide for each skin type. Find the right way of application for your skin type. You won’t be disappointed. Foundations come in various forms and textures that include liquids, sticks, matte, glossy and dewy. And they all work to provide a specific formula which works better on particular skin types. Being said that you should know which one looks better and provides full coverage for your skin type. This section gives an insight from skin experts and makeup artists as to what kind of foundation suits for different skin types. So, let’s begin! People who have dry skin find it really difficult to retain their skin moisture. The internal condition is that their skin do not produce enough sebum i.e. oil to maintain the hydration level of the skin cells. Therefore, they need to take extra measures when it comes to using different cosmetic products on their face. Their requirement is any product that gives an instant boost to their skin’s moisture level. Before applying makeup base, properly moisturize your skin. 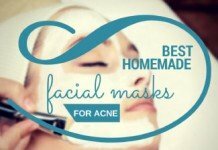 You can also go for a hydrating mask. (Whatever suits you). Apply liquid foundation with your fingertips as it improves circulation. You can also use a damp sponge. Blend it thoroughly and if your skin still feels dull then you can buff your face with damp sponge all over again to get that extra glow. Keep a mild face mist with you throughout the day spritz it on in case you feel dry. On contrary to dry skin, oily skins produce bulks of sebum that leave slick and residue on the skin surface. And in case a person with oily skin wears foundation, after sometime it tends to give a shiny appearance that doesn’t look good. To reduce the extra sheen, look for water-based foundation formulas. Or you can also check out powdered base and matte-finishes. Properly exfoliate your skin with a mild cleanser before applying base coat. Use a flat, stiff and wide brush for applying foundation. Do not use your fingertips. If your skin feels slightly oily after the application of base, just take a play of tissue and blot it on face. This will absorb extra oil lingering on your face. In the end just dab a little translucent setting powder to give a matte-finish. In a combination skin, there are some areas which are oily and some which tend to dry. A typical combination skin usually feels oil around the T-Zone which is nose, chin and forehead. And dry in other regions. Carry out your skincare regimen first that includes both cleansing and moisturization. Apply foundation with the help of a stiff brush and use your fingertips or damp brush for areas that are dry. Blend it properly and do not use too much setting powder. Almay Truly Lasting Colour Make up is a 16 hour long-stay liquid foundation. This foundation serves as a base to give maximum coverage and also as a nourishing moisturizer due to the presence of anti-oxidants. Suitable For: All Skin Types from dry to combination to oily. Not for excessively oily skin. Active Ingredients: Titanium dioxide and Zinc Oxide. Titanium dioxide is a whitening and lubricating agent, whereas Zinc Oxide is a mineral which helps dry and soothe any red marks or inflammation on skin. It’s a long wearing foundation. So, it can stay on for up to 16 hours, making it great for hiding acne scars or marks. Contains Vitamin E to help skin smoothing and lemon extract to brighten the tone for all day natural radiance. Contains Zinc Oxide that helps tighten pores and prevents buildup of sebum, reducing the formation of blackheads and pimples. It is a hypoallergenic and non-comedogenic cosmetic product which is suitable for sensitive skins. Relatively low SPF-15 which means that it has lost its sun protection characteristics. Does not last on oily skins in extreme humidity and might cause break outs. Apply with a sponge and blend until even. If you have an oily skin and feel greasy, apply some mineral powder for a matte finish. Clinique Anti-Blemish Liquid Make up is a casual wear foundation that conceals any breakouts and acne scars providing a softer and radiant skin. Suitable For: All skin types ranging from oily to dry. Might not be suitable for excessively dry skins.< Active Ingredients: Salicylic Acid-a major constituent of acne treatment products. It has very weightless texture that feels silky and sets quickly to give a subtle look alongside stopping the pores from getting clogged. Yields improved skin tone as it is a non-comedogenic product and works best for severe acne like cysts and nodules. Its matte finish conceals all the breakouts on your face and can be really helpful for a special day. There is a variety of shades that are best for lighter to darker skin tones. It contains denatured alcohol that may cause allergy to those who have had reactions in the past. Sensitive skin types might face oxidation issues (the shades turning orange) due to the pH of their skin. Dry skins might face breakouts as Salicylic Acid may show adverse reaction on their excessively dry skin. Use damp sponge to apply the base coat. If you feel your skin dries, try a moisturizer underneath and blend well. Cover Girl and Olay Tonerehab Foundation is a two in one formula that instantly covers all the discolorations, fine lines and wrinkles alongside helping to improve skin tone over time. This is particularly designed for tone discolorations and age spots. Suitable For: Combination to oily skins except for very sensitive and oily skins. Active Ingredients: Cyclopentasiloxane which is a skin conditioning agent. It instantly covers all the discolorations and age spots, as well as hydrating the skin and improving tone over time. Has a creamy velvety feel that seems more like a moisturizer rather than a foundation and does not clog pores reducing chances of acne. Its skin conditioning agent conceals all the blemishes and deep acne scars. Also contains serums that are lightweight moisturizers and help active ingredients penetrate deeper into the skin. This product contains no sun screen elements so it would not provide sun protection. The active ingredient Cyclopentasiloxane might cause skin irritation to the sensitive skins. Apply with a sponge and even out. If you have sensitive or dry skin do not use the powder included in the pack. Cover Girl Aquasmooth Compact Foundation is an all in one foundation due to the presence of essential vitamins, moisturizers, antioxidants and sun-protection. It is also a great formula for perfectly hiding imperfections. Suitable For: All skin types from dry to combination to oily. Not suitable for excessively dry skins. Has a smooth texture and does not easily melt off in heat providing complete coverage. 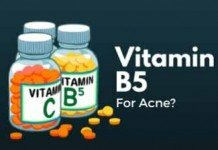 Contains Vitamin B-3, B-5 and Vitamin E to moisturize your skin. Contains Titanium dioxide that is suitable for sensitive acne prone skins. Has SPF-15 along with UVA and UVB sunscreen to protect acne prone skin from oil production. It is hypoallergenic hence suitable for sensitive skin. It does not clog pores reducing the chances of colonization of acne causing bacteria. Comparatively cheaper than other foundations yielding better results. Can appear cakey on dry skins as it is oil-free. Do not leave damp sponge in the container as it lets acne-causing bacteria thrive. elf Acne Foundation is specially formulated for acne prone skin. It contains acne fighting ingredients like Salicylic acid, Tea Tree and soothing aloe. It provides flawless coverage concealing all the blemishes and redness. Suitable For: All skin types particularly the acne prone and sensitive skins. 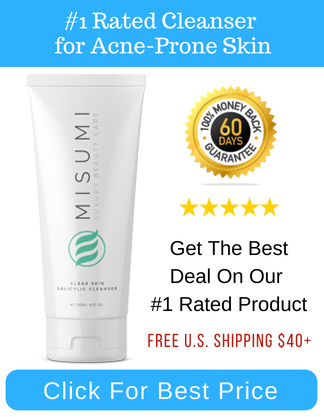 Active Ingredients: Salicylic Acid that prevents acne and reduces inflammation. It gives excellent matte coverage hiding all the pimples or nodules on your face. It is light weight and does not clog pores allowing your skin to breathe more easily. Salicylic Acid helps shed the dead cells from skin layers and decrease the inflammation or redness. Does not highlight wrinkles and stays on in humid weather conditions preventing oil production. It is less expensive than other foundations. It can cause skin irritation in random cases as it contains slight irritants like camphor bark oil and witch hazel water. The pH of this foundation is not low enough for the Salicylic Acid to work as an exfoliator and adverse reaction can occur in rare cases. It has a slight medical smell due to its acne fighting ingredients. Dab pea sized amount of foundation and apply with a soft brush. If the foundation appears too matte dust it with powder to balance. Estee Lauder Double Stay-In-Place liquid essence is primarily a foundation but also acts as a sunscreen. So, with this Stay-In-Place makeup you get a two in one formula: makeup base and sun protection. You can check for tinges other than pebble for a cool seasonal touch. Active Ingredient: Trimethylsiloxysilicate and Dimethicone. Trimethylsiloxysilicate provides water resistance in skin care whereas Dimethicone is used as a moisturizer to prevent dry and rough skins. Hence, making it suitable for both skin types. Long wearing matte makeup up to 15 hours which gives a flawless and natural look hiding any pesky pimples on your face. Is suitable for all skin types especially the oily. Active ingredient Trimethylsiloxysilicate prevents sebum production. Holds well in high temperatures and does not melt off as well as providing SPF 10 which protects your sensitive skin from breakouts. Available in different shades so that you choose according to your skin tone otherwise instead of hiding your acne it may make it prominent. Needs to be removed with makeup remover. Normal face wash won’t take it off as it is a long wearing foundation and an attempt to do so might result in a break out. Can cause allergic reactions and breakouts to those who have suffered with allergies due to the presence of Dimethicone. Take small amount of liquid on your sponge and pat on skin to apply. Use a pinch of moisturizer along with the foundation if you feel excessive dryness. Avoid rubbing your face while removing the foundation. Be gentle to prevent irritation. It Cosmetics Full Coverage Foundation is an anti-aging formula with hydrolyzed collagen, peptides, antioxidants. It provides coverage in 30 seconds and illumination to your skin. Suitable For: Combination to oily skins (preferably for sensitive skins as well). Active Ingredients: Titanium dioxide and Zinc Oxide. Titanium dioxide is a skin conditioning agent and Zinc Oxide is used for treating skin irritation, rashes and acne. Highly pigmented powder foundation that covers blemishes and post-acne marks and lasts all day long. Has anti-aging collagen, silk, peptides and anti-oxidants for wrinkle free skin. Does not make skin greasy and does not clog pores preventing bacteria build-up on skin. Suitable for sensitive skin as it contains Zinc Oxide which is a medicine for skin irritation and allergic reactions. Causes dryness or rash on dry skins and makes the pores appear larger. Powder may settle in fine lines and creases making skin crepe and revealing all the blemishes and scars. Buff in circular sweeping motion, then down and upward for good results. Let the primers and concealers fully dry before applying powder. Laura Mercier Silk Crème Foundation is a rich and luminous essence that offers full coverage and it is great for skin sensitivities including Rosacea and hyper-pigmentation. Suitable For: Dry to Combination Skin. Also it is very effective for sensitive skins. Active Ingredients: Cyclopentasiloxane that is a skin conditioning agent and emollient. This high pigment, high performance and hydrating foundation creates a flawless, radiant canvas that lasts up to 12 hours. It contains silk powders to even out skin tone that has been affected by pimples, scars and blemishes. It contains Glycerin that helps maintain the skin moisture balance along with Green and Black Tea Extracts which nourishes the skin with anti-oxidants. It is a non-comedogenic product which reduces the chance of acne due to sebum-production. It is fragrance-free making it suitable for sensitive skins. On oily skin this formula tends to cake and does not blend well revealing any marks or blemishes. On oily skin this foundation makes the pimples prominent. The shade selection has warm red tones that do not suit pale skin tones. Apply onto back of your hand and work into the narrow end of a sponge and apply to face. Set with a translucent loose setting powder. LORAC POREfection Foundation was developed with the purpose of getting poreless-looking silky smooth skin. This formula is free from oil, fragrance and parabens making it safe for your delicate skin. Active Ingredients: Has three active ingredients. Octinoxate, Octisalate and Avobenzene. Each one of these helps absorb UV rays and increase the effectiveness of sunscreens and different skin care products. Contains anti-aging antioxidant vitamins A and E that keep your skin healthy and young while providing medium to full coverage to hide acne marks. Contains sun protection in the form of three active ingredients that absorb UV rays and has SPF-20. Is free of oil, fragrance and parabens making it suitable for sensitive and acne prone skin. It is a non-comedogenic product so it would not cause overproduction of sebum and it will not clog pores, reducing the chances of bacterial infection. Stays for 6-7 hours only depending on the amount of humidity and temperature. Oily skins might get a slick feeling after wearing this foundation for quite a bit and can result in oil production leading to breakouts. It has a medical smell as it does not contain any fragrances. It is a bit high on price. For excessively dry skin apply a bit of LORAC primer before applying this POREfection foundation. Combination skins can directly apply the foundation. L’Oreal Paris Pro-Matte Foundation is a light and long wearing liquid formula. Light weight and creamy this foundation has a matte finish that lasts up to 24 hours. Active Ingredient: Dimethicone and Isododecane. Dimethicone is a gentle moisturizer and Isododecane has a weightless feel on the skin. Helps control oily skin as well as keeping the skin hydrated as it is a dry foundation. Does not melt off in humidity and high temperatures revealing scars and break outs. Provides sun protection to sensitive and oily skins and reduces the chance of oil-production leading to acne or otherwise damaged skin collagen. Needs to be removed with a makeup remover as normal face wash would not work and rubbing can cause irritation and breakouts. It dries really quickly which does not let the foundation blend properly making pimples and acne prominent. Smells like wall paint or acrylic paint. Use a damp beauty blender for a perfect application. Blend it fast before it dries. Wash it with a makeup remover instead of a normal face wash.
Make up for ever Ultra HD Invisible Cover Foundation is specifically designed to meet the requirements of advanced technology involved in TV and film industry. This cover foundation provides the best skin complexion both on screen and off screen. Completely invisible under the latest super-focused 4k lens this formula gives flawlessly natural-looking finish. Suitable for: All except extremely oily skins or people who have suffered skin allergy to Sodium Hyaluronate. Active Ingredients: Sodium Hyaluronate and Dimethicone. Sodium Hyaluronate is used for skin hydration whereas Dimethicone is a used moisturizing agent. Long staying foundation up to 12 hours making it suitable for HD camera technology. Light weight foundation that blends easily and settles on acne prone skin. Provides medium coverage and gives an overall natural-looking skin hiding blemishes. Exceptional shade range, with options ranging from super fair to very deep for hiding the acne according to your skin tone making it less prominent. Super fluid formula setting a satin look, making it ideal for combination to slightly dry skin (including acne prone). Low concentration fragrance reducing the risk of skin irritation and breakouts to those who have suffered in the past. Not ideal for very oily skins as it does not absorb any oil and may cause breakouts. This foundation does not oxidize and requires touch-ups in between. Gives a simple natural look instead of enhancing look for some special occasion. Apply with a damp sponge applicator on dry skin. Don’t apply hard while layering over areas of freckles. Dust translucent powder if you feel excessively moisturized. Maybelline New York Dream Smooth Mousse Foundation is a unique cream whipped foundation that provides 100% baby smooth perfection. It blends seamlessly and feels fresh all day. Suitable For: Dry to Combination Skins. Not suitable for oily skins. Active Ingredients: Dimethicone and Cyclopentsiloxane. Dimethicone provides a protective cover on skin which is supposed to keep skin hydrated for longer whereas Cyclopentsiloxane is a skin conditioning agent. It is long-staying foundation up to 14 hours. Skin feels hydrated and never rough or dry preventing breakouts and skin irritation. Since it is an oil-free formula it does not accentuate pores and does not clog them reducing the chances of greasy skin resulting in acne. It provides heavy to medium coverage, covering any blemishes or hyper-pigmentation. The price of this product is low for its quality. The colour range of this foundation seems too dark for the porcelain or white-skinned people. Not suitable for excessively oily skin as it might melt and smudge. Those who are suffering intense acne or cysts should not use it as it can give them horrible zits and clog pores. Blend outward with the center of the face. Make sure to blend well around the jawline and hairline. Set with a powder for a perfect finish. Fit Me is Maybelline’s first mattifying powder that fits skin tone and texture. This ultra-light foundation erases pores and matches natural tones with a long lasting shine control. Suitable For: Normal to Oily skins (including sensitive skin). Active Ingredients: Perlite- an inert siliceous mineral made for the exfoliation and rejuvenation of skin cells. Provides full coverage and perfect matte skin for up to 16 hours as it is a long-staying formula. Does not clog pores reducing the chances of build-up of bacteria in your skin. It is an oil-free formula that is ideal for acne prone oily skin and prevents sebum production. It does not get cakey or flakey as it has a matte finish. It is great for covering pimples as it can be worn on liquid foundation and concealer. Can cause allergic reactions or rash on skin due to presence of perlite although it does not absorb into skin but can cause dryness. Does not work well on excessively oily skins. With the provided applicator, blot the powder onto areas of face with excess oil. Blend over using gentle downward strokes. Foundation and concealer can be applied beneath this powder foundation. Missha M Perfect Cream base was developed as a product for patients after laser treatments. Combining cosmetics with skin care, this foundation promotes natural looking coverage while providing sun protection, treating dark spots and preventing wrinkles. Suitable For: All skin types including sensitive skins. Active Ingredients: Titanium dioxide is the active ingredient used as a sun block substance. It also helps in cleansing and moisturizing the skin. Covers blemishes and red zits leaving your skin gorgeous and radiant. Provides great sun protection along with an SPF-42 to prevent any oil production leading to pimples. Presence of Gatuline RC, Hyaluronic Acids and Ceramide content moisturizes and improves elasticity of acne prone skin. Rosemary and Chamomile extracts soothe the unclear or irritated skin affected by acne. Not very effective in hiding the blemishes and dark spots on older skins. Might oxidize on excessively oily skins due to presence of Zinc Oxide as one of the ingredients. Pump out the desired amount and smooth onto skin using preferred methods (fingers, sponge applicator or brush). Apply a moisturizer before bb cream if you have very dry skin. Neutrogena Healthy Skin Liquid base is an exclusive blend of antioxidants and sun screen that maintains the healthy and radiant look of the skin. This silky-light gliding formula provides a perfect glamour look while protecting your skin from harmful UV rays. Suitable For: All skin types except for people who are allergic to Ethylhexyl Palmitate. Active Ingredients: Titanium Dioxide- an inert earth mineral used as a whitening, lubricating and sunscreen ingredient in cosmetic products. Light weight formula involving antioxidants such as Vitamin E to improve skin’s luminosity and to heal acne prone skin. Contains broad-spectrum SPF-20 that protects skin from harmful UV rays which cause over production of sebum aggravating acne. Covers all the acne scars and blemishes keeping your skin moisturized and hydrated. The range of shades is impressive, for normal to slightly dry and oily skin. 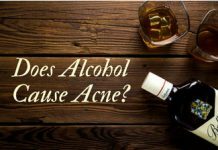 It contains Ethylhexyl Palmitate, which is a comedogenic substance and might worsen your acne if you have faced any allergic reactions in the past. Another ingredient methylisothiazolinone present in this foundation has a history of causing sensitized reactions. 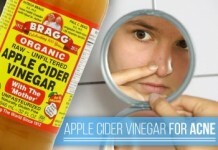 Apply it with a sponge instead of a makeup brush for perfect blend. Add some powder if you feel greasy in case your skin is very oily. Rinse well if you develop a skin rash. Oxygenetic Foundation is basically designed for medical use on burns and scars. No occlusive oils, water, fragrance or preservatives have been added for the safety of sensitive skins. Besides, Oxygenetic fresh and light formula works as a second skin for those suffering acne. Active Ingredients: Titanium dioxide and Methicone. Methicone is a silicone that is used as a skin conditioning agent in cosmetics and skin products. Made with Ceravitae, an advanced complex, this aloe-based foundation delivers oxygen straight to the compromised skin cells. This oxygenated formula helps encourage healthy collagen growth making it ideal for those struggling with common skin conditions like acne and rosacea. Offers an SPF of 25 which provides sun protection to your skin, reducing the chances of acne prone skin. This formula is free of fragrance, oils, dyes and parabens making it hypoallergenic. This foundation is water-resistant and stays in place concealing any blemishes on the skin. Excessively oily skins might make this foundation feel very sticky and greasy. It is a bit too expensive due to its oxygenating functioning. The shades are way too pale for darker tones. For maximum coverage apply more than desired. Rimmel Stay Matte Foundation is a feather-light liquid mousse formula to leave your skin silky and smooth. This product aims to minimize the appearance of the skin pores. Suitable For: Ideal for combination to oily skins. Active Ingredients: Cyclopentasiloxane- which is a commonly used silicone in cosmetic products. It is a long-staying make up base that is resilient to excessive temperatures making it ideal for acne prone skin. It is a non-comedogenic product i.e. it’s oil free and hence best for oily skins. Minimizes the appearance of pores giving your skin a flawlessly natural look. Contains silicones like Cyclopentasiloxane that are hypoallergenic and do not cause allergic reactions to sensitive skin. Available in eight shades for fair to deeper tones and hides any pimples or blemishes on your skin. 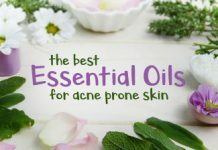 It is fragrance-free a plus point for the sensitive acne prone skin. Gets cakey and heavy on dry skins and can cause break outs. Does not blend easily if not applied in the right direction. Apply it with a brush in stippling motion. Use a moisturizer beneath your foundation to avoid the cakey appearance. Smashbox Camera Ready CC cream is an advanced light-weight formula that neutralizes and brightens skin for a more even complexion. It’s proven to fade dark spots, sun spots and post acne marks instantly and overtime. Suitable For: Oily to combination skins due to its matte finish (also for acne prone skin). Active Ingredients: Contains four active ingredients of which three are sun screens: named Octinoxate, Octisalate, Oxybenzene. While one is a skin conditioning agent called Titanium dioxide. Provides a broad-spectrum SPF 30 due to the presence of Octinoxate, Octisalate and Oxybenzene which controls oil production preventing pimples and acne. Visibly fades the existing dark spots, sun spots and blemishes due to its medium coverage. It is non-comedogenic and reduces the chances of oil production leading to acne. Available in five different shades for light to medium tan skin tones. Might appear very shiny and feel slimy when applied to excessively oily skin. The colour range might be too dark for pale skinned people. Apply with a brush in stippling motion and cover the jawline. Add the powder included with the foundation to give a matte look. Smashbox Liquid Halo HD Foundation is 100% Liquid Light Technology that gives a luminous finish and contains gel-covered pigments that mimic photo filters to clear imperfections. This formula claims to be humidity resistant with SPF-15. Suitable For: Combination to dry skins including sensitive skins. Active Ingredients: Octinoxate and Titanium dioxide. Octinoxate filters the UV rays effectively protecting the deeper layers of skin. Titanium dioxide is also used as a sunscreen element. It acts as a broad-spectrum sun screen due to its active ingredient Octinoxate and has SPF-10 preventing sebum-production (a cause for acne). Provides good coverage which helps in concealing the pimples and gives a matte look. Does not clog pores and maintains a sublime texture alongside eliminating space for bacteria to thrive. Best for dry skin due to its moisturizing effect and breaks the tendency of flaky skin reducing risks of skin rash. Is lightweight and gives a virtually flawless skin that looks perfect in photos. Is Fragrance-free, reducing the chances of skin irritation. The shades are warm-toned ranging from golden to peach and might turn colour in excessive heat. 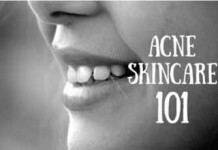 It might get slick or greasy on extremely oily skin that results in acne. Since Octinoxate is a chemical sunscreen it might cause skin irritation or adverse effects. This product is a bit on the pricey. Use Smash powder along with this foundation for touch-ups or in case it gets greasy. If you face any skin irritation due to Octinoxate discontinue use. This one is an oil-free foundation. So, it does suit oily skins, but doesn’t claim to be completely immune to clogging pores. Too Faced Born This Way foundation is a great cream formula that has a lightly moisturizing finish and it promises benefits that blur the lines between skin care and make up. Its natural coverage easily conceals uneven tones, such as redness, blotchy areas and post-acne red marks. Contains coconut water and hyaluronic acid, along with alpine rose leaf for more elasticity. It is an oil-free product, and won’t cause excessive oiliness on your skin. It does not contain any fragrance and this makes it suitable for sensitive and acne prone skins. It gets greasy on oily skins and also on combination skins (t-zone) when worn for a long time. It does not stay long and melts off on oily skin. Apply with the help of a sponge applicator and blend well. Dust a little setting powder for perfect blend (combination skins). What’s your experience with your current foundation? 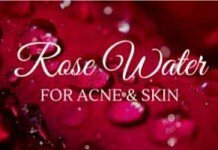 Do you have any specific questions regarding the products I listed in this post? Let me know in the comments below! Thank you so much for this information. It is so hard trying to find the right fit for my skin type! You just saved me a ton of work because you have narrowed it down. My dermatologist just told me to find a foundation that will complement my skin not cause break outs! Have u tried Younique? 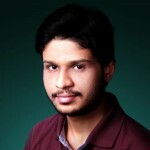 Curious to what kind of review you’d give it. 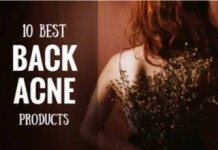 I can’t believe anyone, let alone a doctor, is recommending dimethicone based products for acne-prone skin. What kind of sabotage. Dimethicone is an awful, cheap, ingredient that acts like a sealant over the skin and traps bacteria in pores. It will break you out real quick. Hey Whitney, thanks a lot for sharing your thoughts! This is true for a lot of products. There is indeed a ton of contradictory information, specially from experts, about products and ingredients. The truth is that each Doctor is coming from a different background, experience, and practices. So, fairly enough, they do differ in their views. The quote of Joshua Zeichner, M.D. I added about Dimethicone was first cited by Carly Cardellino, a Cosmopolitan beauty editor, in her article about the same topic. The reason I put so much emphasize on ingredients on each product reviewed on CAA is that this is the most crucial part. For effective skincare, you must know your skin AND your ingredients. Putting ingredients blindly on your skin, without due diligence and research mostly results in frustration. So whether it be dimethicone or any other ingredient, make sure to do some good research before committing to it. You are extremely likely to find mixed views, as not all skins are made the same. I always go back to Estee Lauder…..it has been the greatest for my adult acne prone skin. I do better with low s.p.f and it is one of the few. Thank you!! Sigh! Awww boy the struggle is real. Trying to find a good foundation for my face. It’s been breaking out like crazy… am not sure what the hell to trust out there because it seem like no one really care about what they put in products these days it’s all about how much money they can make real quick. But anyway am running to cvs to buy a couple of there brands and see if any works for me. I recently had a breakout. I tried the Maybelline Fit Me line and G, it’s the worst! I thought acne left me during my teenage years, I can’t believe it will still affect me. Anyway, what really worked for me is checking all the labels of my products. From the face wash to my make up. I just make sure they’re all non-comedogenic, hypoallergenic, oil-free, and dermatologically tested. Neutrogena really worked for me. Hey, that was a really comprehensive list. I like how you have detailed the best and worst of things. I’m not quite fond of smashbox however. It’s too thick for my liking. Skin’s breakouts can also be contributed by bacteria on makeup brushes too! Any suggestions on tools and cleaning methods? At 65, still get deep, cyst-like pimples & blackheads when I use a product that is not labeled “non-comedogenic”. And, whiteheads from hot temps when I’m heavily sweating. Have had to school the techs at big name beauty product stores when asked how they can help me and they point me in the direction of hypo-allergenic even though I said that I need non-comedogenic. They are unaware of the difference. I have pointed out to them some of the preservatives that cause a reaction in me, which makes it not an “anti-acnegenic” product. Sebum seems to be my main problem and your research of ingredients that control the production of it is extremely helpful. Along with your description of how different additives work to calm skin flare-ups is fantastic. Hands down the Pur-lisse Bb tinted moisturizer. I am 47 years old with combo oily skin and this BB cream covers very well w/o looking cakey or fake. It does not clog pores as it is oil free and has mineral spf 30. It has taken me half a decade to find the perfect foundation but I found it!! Pur-lisse!! !